Grantown on Spey is an ideal location to tackle any of the main outdoor pursuits. The local woods and hills offer miles of off road mountain biking. For climbers there are a number of roadside crags within easy reach of the town. 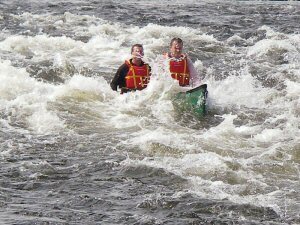 At the heart of Grantown on Spey is the River Spey which is one of the finest kayaking and canoeing rivers in the country. 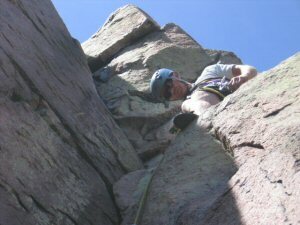 Huntly’s Cave Crag is only 5 miles outside of the main town and offers a good climbing day. A 45 min drive could see you climbing on the sea cliffs at Cummingston and a similar drive going east through the hills gives access to the sunny crag at Ballater Pass. For big mountain rock routes the Cairngorms are only 40 minutes away. On the doorstep of Grantown on Spey is Anagach Woods which contains miles of forest trails many of which are suitable for families. These trails link easily into longer and more technical routes on the Dava Moor and the Cromdale Hills. 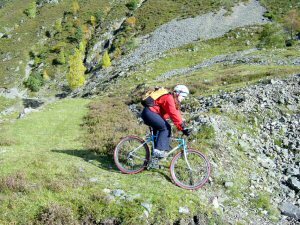 The Speyside Way and the Dava Way provide long rides through some wonderful countryside and for those looking for a challenge it is possible to complete a 50km round trip to Glenmore Forest. The famous Burma Road Route is only 16km away and is easily accessible. As one of the longest rivers in the country, the River Spey is a great journeying river. The mouth of the river at Spey Bay can be reached in two days from Grantown on Spey. There are many wonderful single day trips on a river packed with wildlife and salmon. II water and with no fishing on Sunday lots of opportunity to play in the rapids. The river has good access and egress. 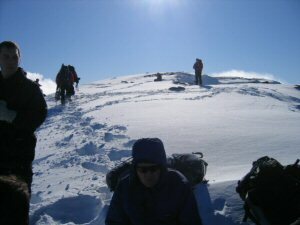 Summer or winter the Cairngorms provides exciting and challenging mountaineering. The long summer days gives the opportunity to tackle some of the more remote Munros. If you are looking for scrambles there are many with Afterthought Arête being one of the best.